What’s this? Another sweater? Thanks to a generous bout of road trip knitting (Hello Austin! ), I have yet another FO for you! 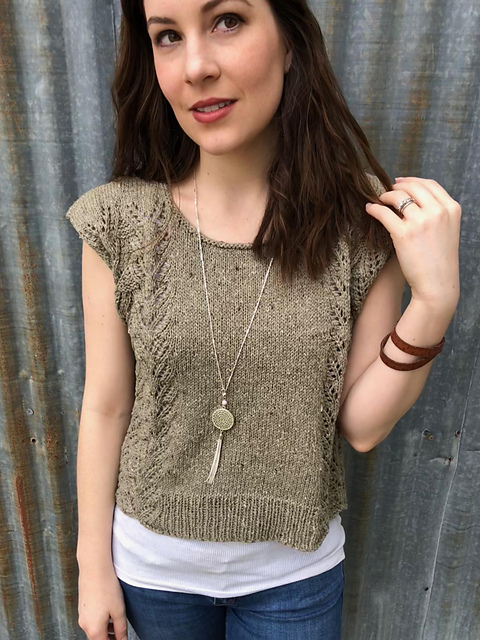 This is Reposado by Thea Coleman; a lovely Summery top made from YOTH Yarn’s Best Friend. Reposado has been in my mental Ravelry queue since I saw it on Instagram. I was drawn to it when I first saw it,but put it off for a while because it seemed like a good summer knit (it is!). I found this to be a very quick knit. Reposado is knit in the round to the armholes, then knit back and forth. Because of that, it chugs along very quickly. It was even a good road trip pattern! The lace pattern in Reposado is very logical, and I had it memorized pretty much by the second repeat. You can clearly read the stitches and see where it’s going. I did mess up several times (usually a matter of too many or too few yarn overs), but was able to correct it without much ripping back. I will say that I found this pattern to be somewhat wordy. It’s not really a negative thing, but there’s a lot of explanation about the whole process. I know lots of knitters who live for this level of explanation. However, I found that sometimes it made things muddy. For instance, the lace pattern is written out for flat knitting, but charted for circular, because you use both in the pattern. For an experienced knitter, this is barely noticeable. But for someone new to lace or sweater patterns, this could be a major bump in the road. So just do a nice mis en place before getting started to make sure you’re not missing anything. Yoth’s Best Friend is a cotton and knit blend, which I have used before in my Del Sol tank. It really is a great summer yarn. 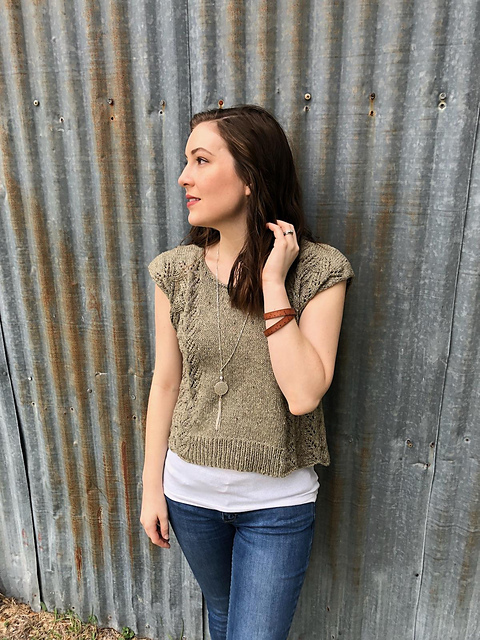 The difference in this pattern is that it’s knit with two strands held together! Held together, Best Friend is close to a DK weight, but not too heavy for a light summer sweater. I just pulled from two separate balls of yarn and I didn’t have a lot of trouble with tangling. You can barely tell that it’s held together in the finished product! This blocks wonderfully, though I was surprised when soaking my Reposado how dark the water was afterwards! Last time I used Best Friend I used a very light color, so I got no dye in the bath. This time the water was the color of tea!I’d be interested to see if any other colors do this, because they all seem pretty muted. Honestly, I put off finishing this project because I was so so close to getting the whole thing out of two skeins of Best Friend. I only used the third skein for one back shoulder and the collar, so I have pretty much a whole skein left. I was a little bummed to have to crack into that third skein, but now I’m thinking I can get a cropped version of Del Sol out of the leftovers, so I’m happy again. In terms of finished product, I could not be happier with this sweater! Before blocking, I was worried that it was a little short and would hit at an unflattering length. Now that it’s block, it’s pretty much perfect! 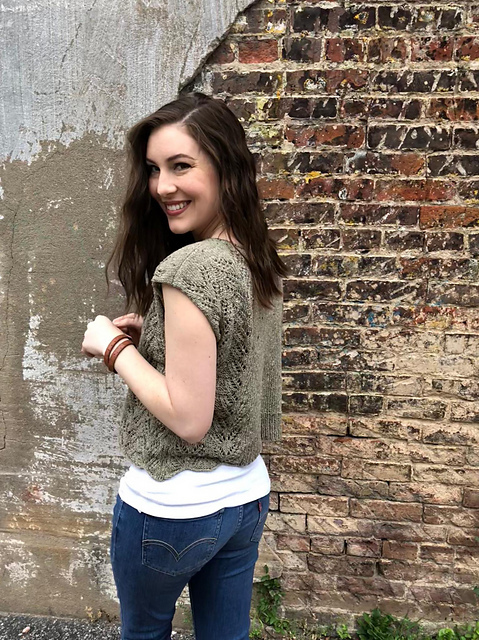 I was also worried that the added width of the lace on the shoulder would make me look like a linebacker (my shoulders are relatively broad for my frame), but the sweater softened up with wear and looks great! 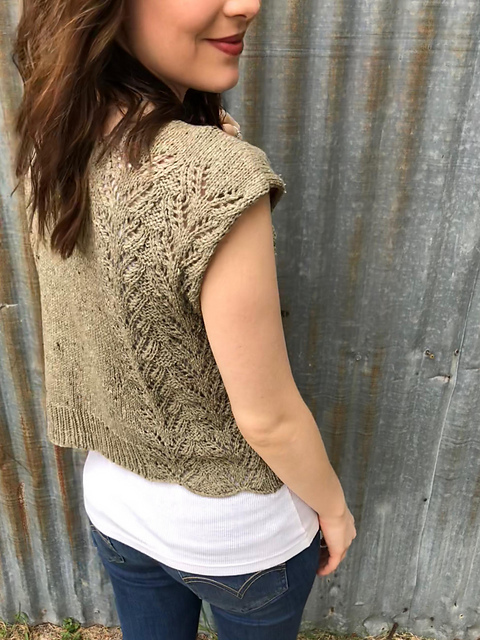 I love the summery casual vibe of Reposado, and could see myself making this in lots of other colors! I’ve also seen a version on Instagram with added dolman sleeves that could be a great fall transition piece.The possibilities are endless!